In developing your marketing research interview guide, you can use the example categories and questions presented below as a starting point. In fact, a very robust and well-rounded interview guide can be constructed by simply developing at least one question in each category. This tool is just one of hundreds of educational resources you get access to as a PricingBrew Journal subscriber. 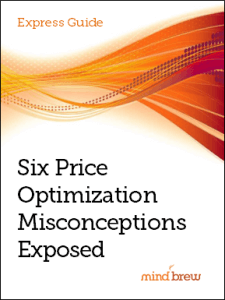 Price optimization can provide a significant competitive advantage for the companies that have adopted it. This guide explores the mistaken beliefs that could be costing you sales & margin dollars. 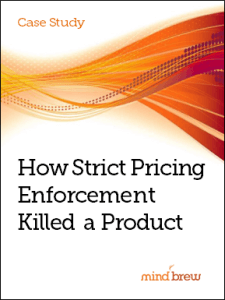 Strict enforcement of pricing policies can seem like a great idea. But this comical case study sheds some light on the perils of enforcing policies that are lacking (and somewhat ridiculous).